My crib dreams have come true!!!! 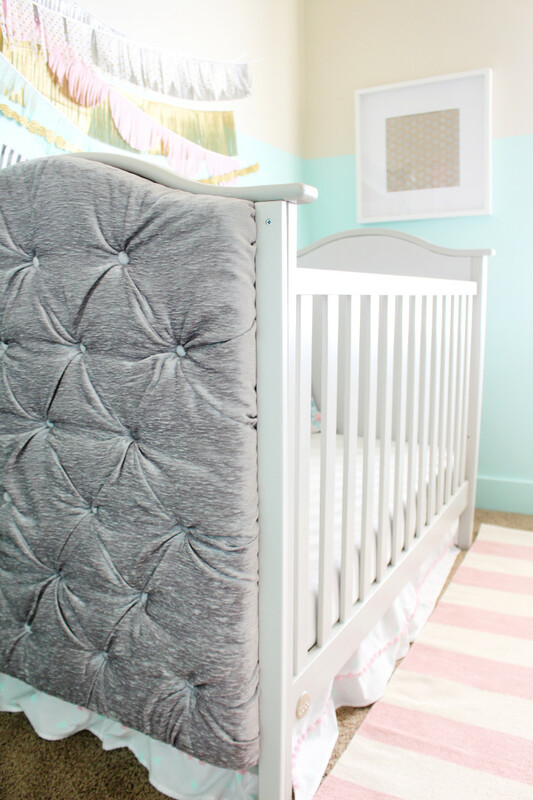 2 years ago, when I was just starting to plan my upcoming baby’s room, I found this gorgeous Restoration Hardware tufted crib and died, it was so gorgeous! 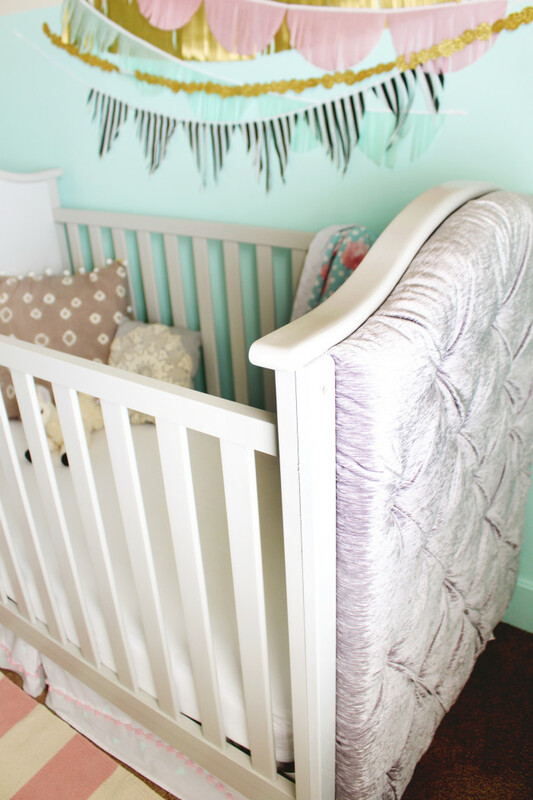 I’d never seen a tufted crib before and thought it would just be the greatest thing ever to have, baby girl needed it. But for $1200…it just wasn’t gonna happen. 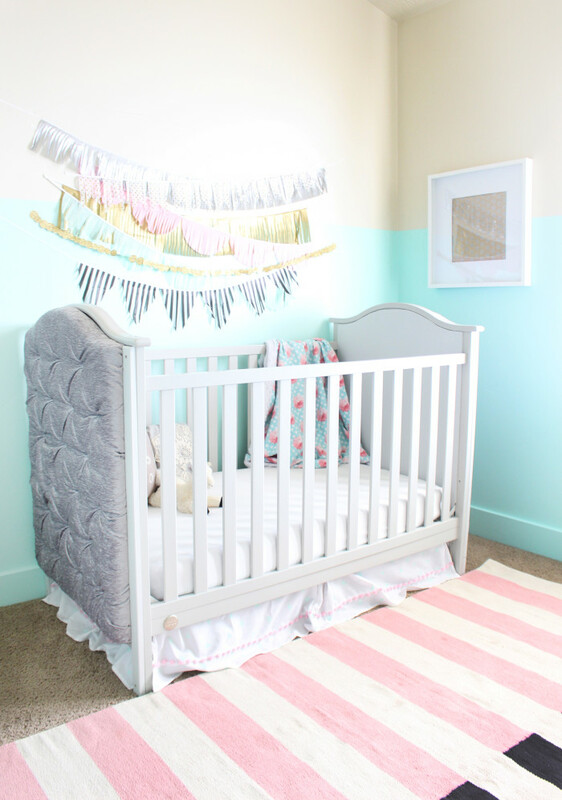 Additionally, it was a little more “antique french” than I wanted to go for in our nursery so I knew it wasn’t quite right anyway. I immediately formulated a plan to DIY my own version. I’ve been SO excited about this project ever since then! 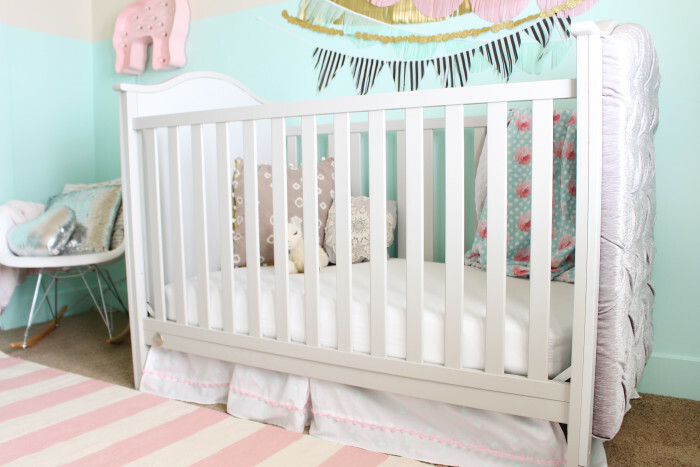 I carefully chose a crib that had a similar shape, with the higher, curvy head and footboards and a simple, rectangular shape. This is the one I got. 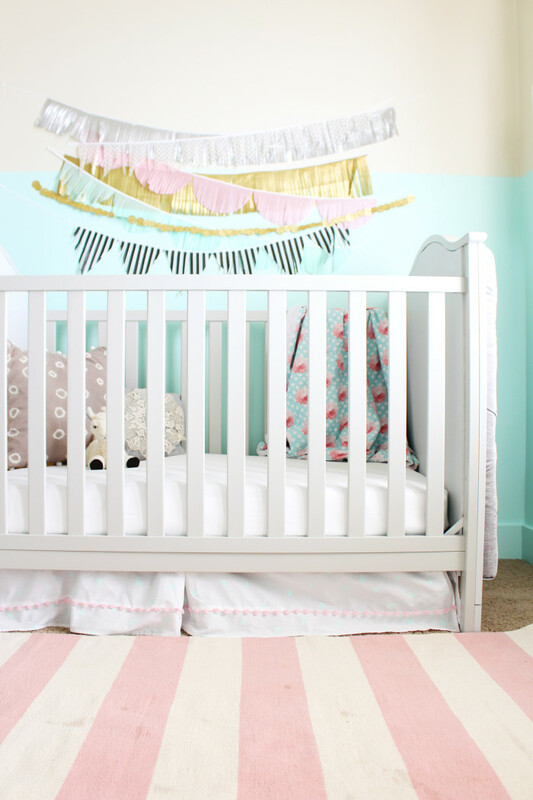 At about $300 (including the price of the crib itself) I am completely thrilled with this crib. 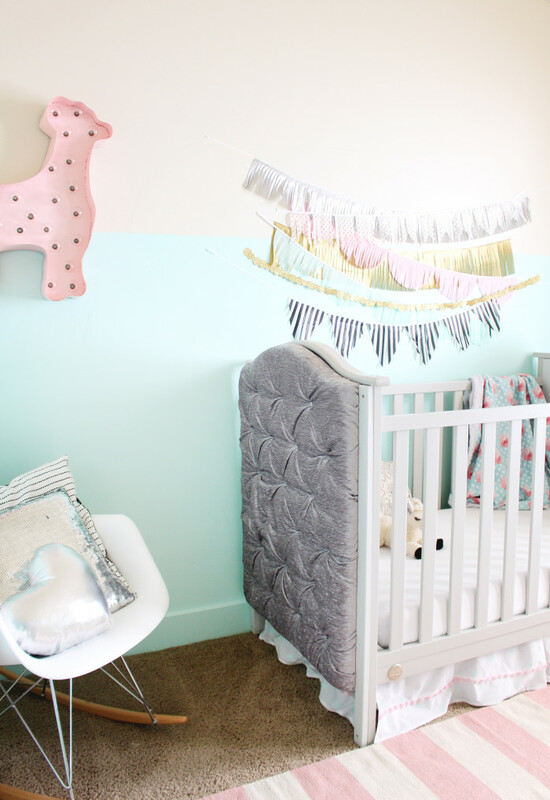 I only wish I had had this room all put together and ready for Stella when she first came home. 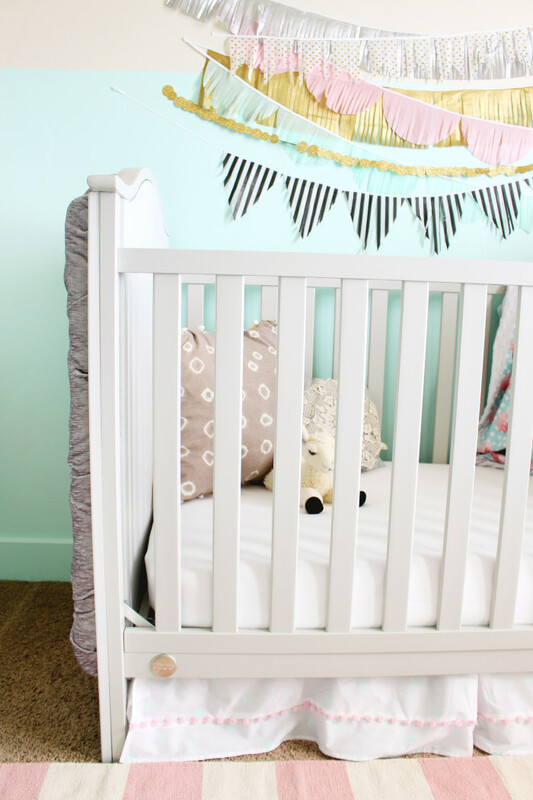 Even though she wouldn’t be sleeping in it for the first 6 months, there’s just something so exciting about having an actual decorated space that you love just for your baby. That wasn’t possible for us at the time though as our house purchase was still going through so I’m just grateful to have it now for us both to enjoy! This project has quite a few steps, I won’t lie. But don’t be intimidated!! It’s not hard and I cover everything from exactly how to get this gorgeous diamond tufting to getting the shape and putting it altogether! I promise this is SO worth it! Consider it a weekend project and don’t get overwhelmed at the long list of materials and steps, I’ve just included a lot of info and specifications to make it as easy as possible for you! 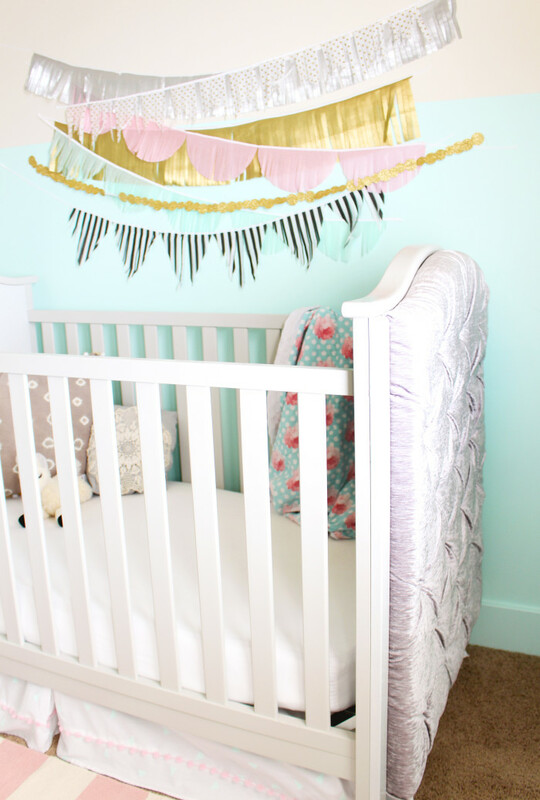 Head right here for the whole tutorial with tons and tons of pictures and tips and stay tuned for the whole nursery reveal! I’m still putting some final touches together in it and I can’t wait to get it all photographed and share it with you. Oh my goodness! Machelle, it is so beautiful! You are absolutely incredible! Thank you SO MUCH Heather!! You’re the sweetest! I love it all! 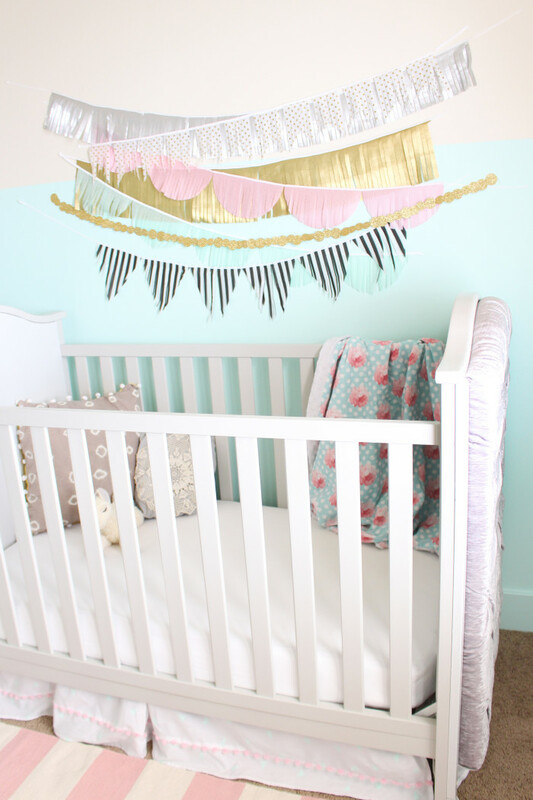 The bunting over the crib is so sweet!